WASHINGTON (AP) - House Democrats will file a resolution Friday aimed at blocking the national emergency declaration that President Donald Trump has issued to help finance his wall along the Southwest border, teeing up a clash over billions of dollars, immigration policy and the Constitution's separation of powers. 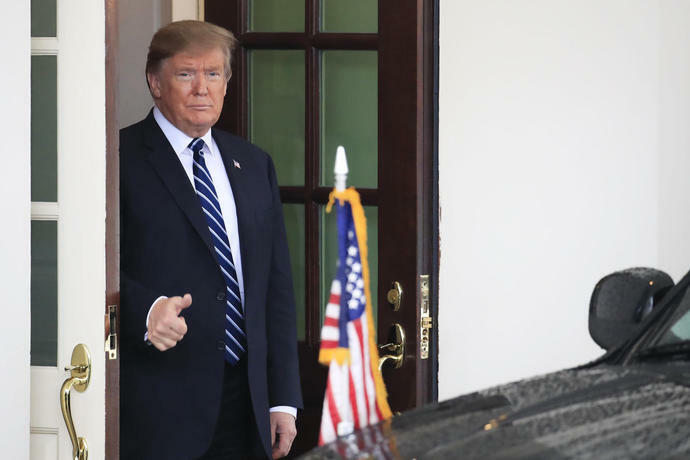 Though the effort seems almost certain to ultimately fall short - perhaps to a Trump veto - the votes will let Democrats take a defiant stance against Trump that is sure to please liberal voters. They will also put some Republicans from swing districts and states in a difficult spot.